MATLAB and Simulink are now being used extensively in not only academia as a teaching aid, a learning aid and a research tool but also industry for modeling, analysis, design and rapid prototyping. 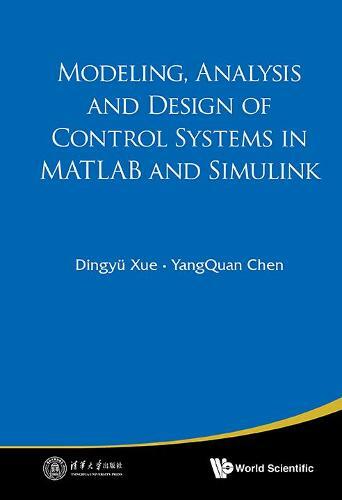 As a response, Modeling, Analysis and Design of Control Systems in MATLAB and Simulink emphasizes on practical use of and problem solving in MATLAB and Simulink following the so-called MAD (modeling, analysis and design) notion. Readers can not only learn the control concepts and problem solving methods but also coding skills by following the numerous inline MATLAB scripts, functions, reproducible examples as well as chapter-end Problems. The book service website contains Solution Manual, 1,000 plus teaching/learning PPTs, and all related codes used in the book for reproducing the examples.Modeling, Analysis and Design of Control Systems in MATLAB and Simulink has 12 chapters organized in 5 parts: Foundation, Modeling, Analysis, Design and Rapid Prototyping. Each chapter ends with Problems section. This book can be used as a reference text in the introductory control course for undergraduates in all engineering schools. The coverage of topics is broad, yet balanced, and it should provide a solid foundation for the subsequent control engineering practice in both industry and research institutes. This book will be a good desktop reference for control engineers and many codes and tools in this book may be directly applicable in real world problem solving.